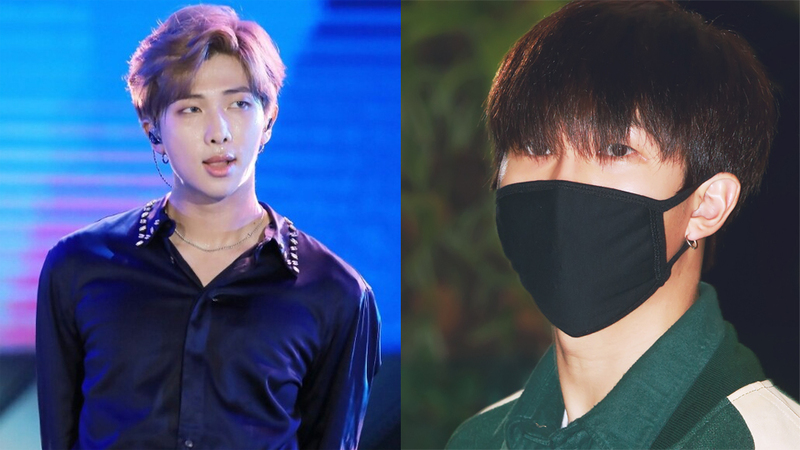 Netizens said they have gotten a medical checkup for army together with RM. 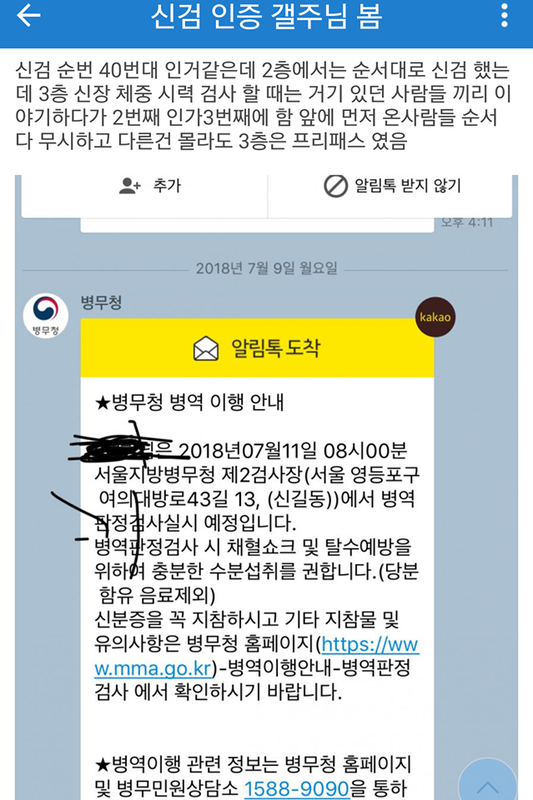 On July 11th, a post, titled "My Junior Got a Medical Checkup Together with BTS," in one online community has become a hot topic. 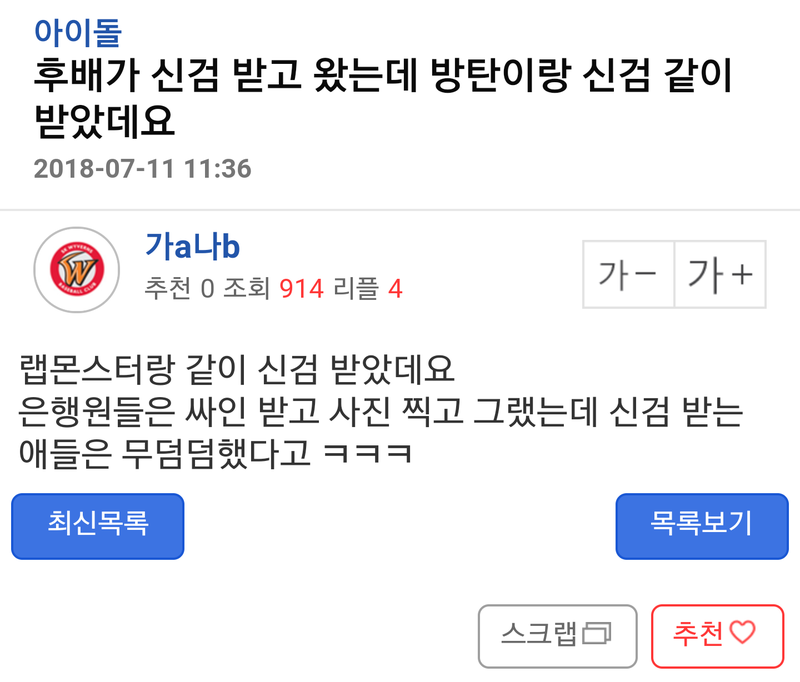 In the post, the uploader wrote, "He said that he did the checkup together with RM. The officers were all excited to see him. They received his autograph and took selfies together with him." Another post also revealed the same thing, "I stared at him because he is a celebrity but he looked a bit tired. Although he looked sleepy, he was so friendly to people there. He actually could get the free pass but he chose to proceed just the same as the other people." 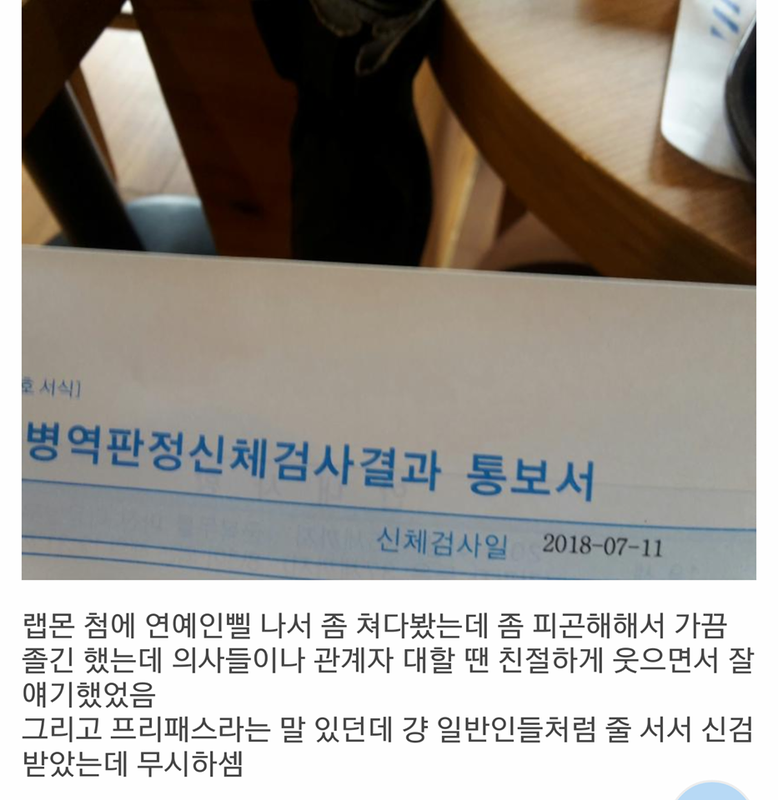 To prove his words, the writer posted the screenshot of the medical checkup notification he got from the country. In South Korea itself, men usually do the medical checkup before they enlist in the military. 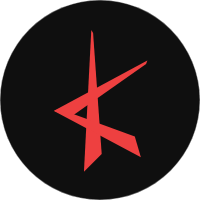 In most cases, one man will enlist within a year after the medical checkup. The medical checkup is done not in any hospital, but in several designated places.